Welcome to Flat Furniture. We offer well designed, affordable furniture that's easy to assemble, with many functions. Versatility made simple. A scratching post with cat perches, or a plant stand, or both. You choose. Customize your PERCH with felt of differing colours, Sisal Rope and different perch pads. Cat grass holder - A Healthy snack for your cat! From $150 CAD. Shop Now! Give your cat a perch to look out the window. Cats need to scratch. Let them do it in style. Don't have a cat? 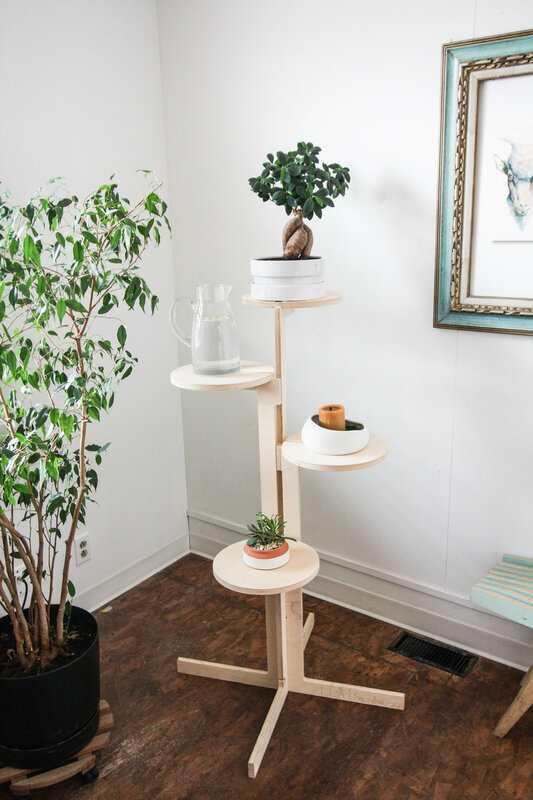 The perch can also be a plant holder or shelf system. 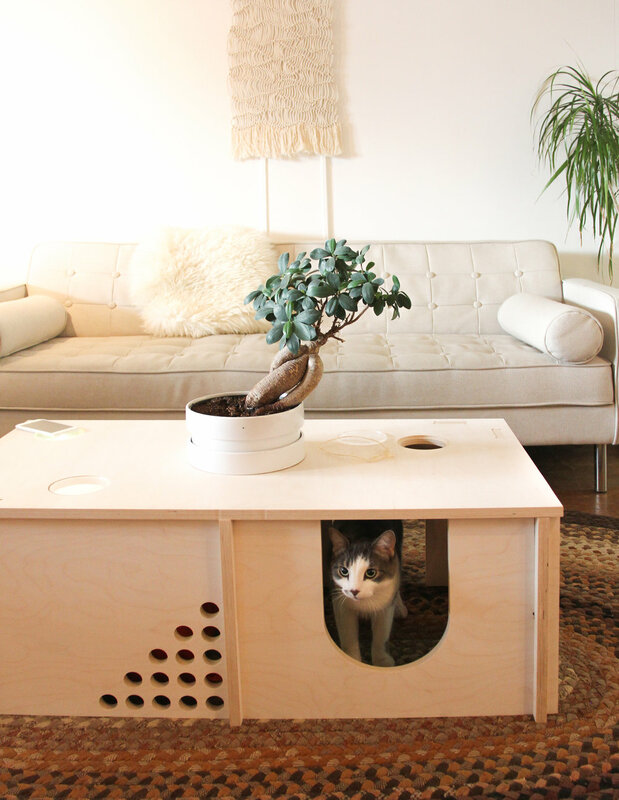 The coffee table that is also a den for your pet. Or, as storage. It comes in two different sizes with different options and features. 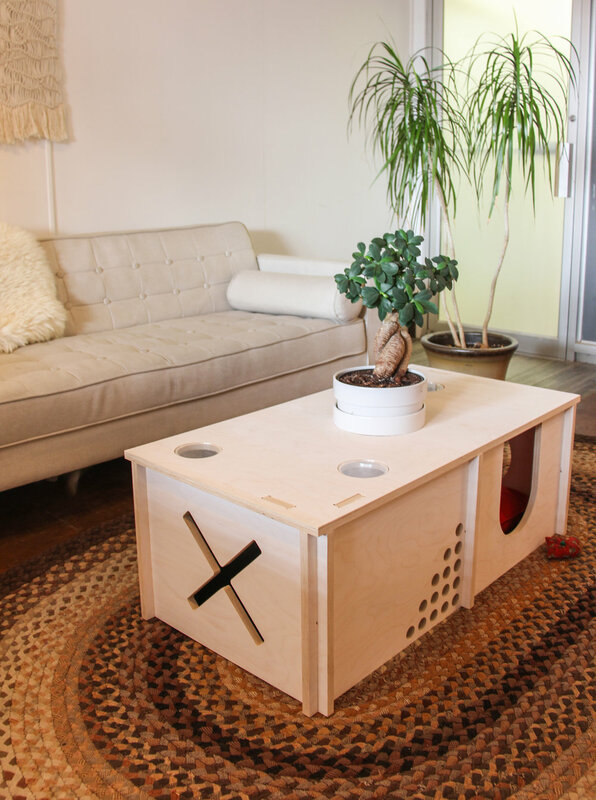 The centre piece hole can be used to hold a potted plant, terrarium, or wine cooler. The centrepiece hole allows for different features to customize your table, such as plant pots, terrariums, or wine cooler. 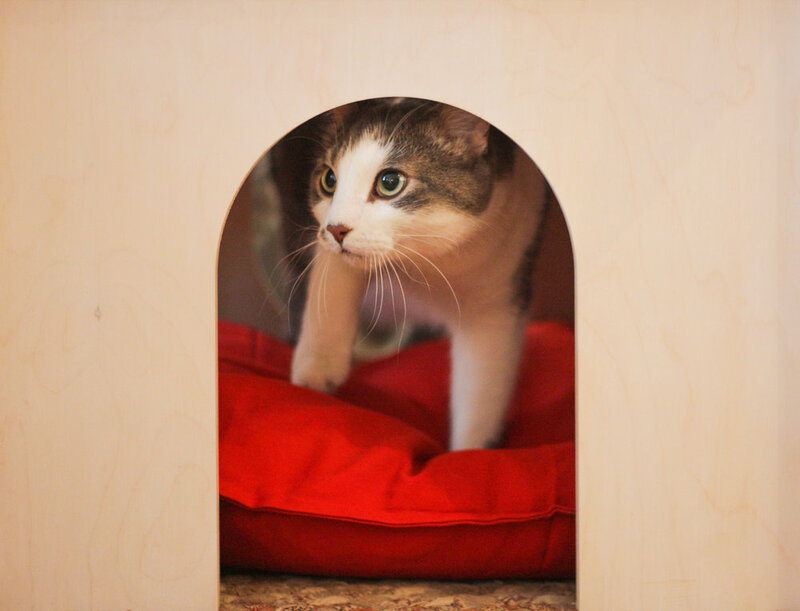 Playful features for your cat, such as these wack-a-mole holes. Design your table with different openings and windows for your pet. Fun, integrated features for both you and your pet!